Filial love is beautifully portrayed here. 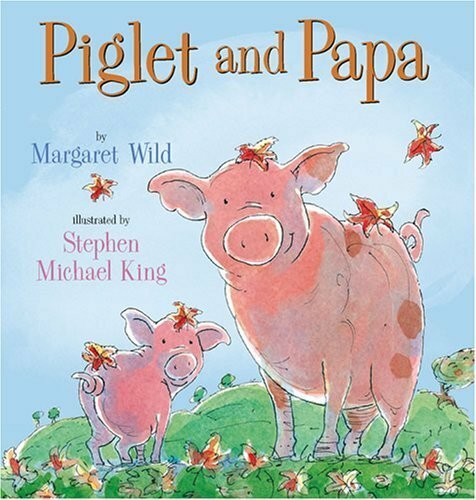 The text is tender yet there’s a hint of mischief about it, well supported in the illustrations. 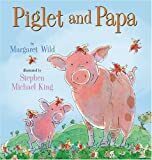 Piglet upsets her father in a playful romp when she bites his tail, so hard that it hurts. Chased from the sty, she feels insecure about his continuing love for her, and seeks reassurance from various farmyard friends, demanding to know if they love her. Each replies in the affirmative, but enigmatically suggests that there is a greater love than theirs available. The gentle watercolour washes have great appeal and convey the empathy between the characters. The ending has just the right twist… in the tail!